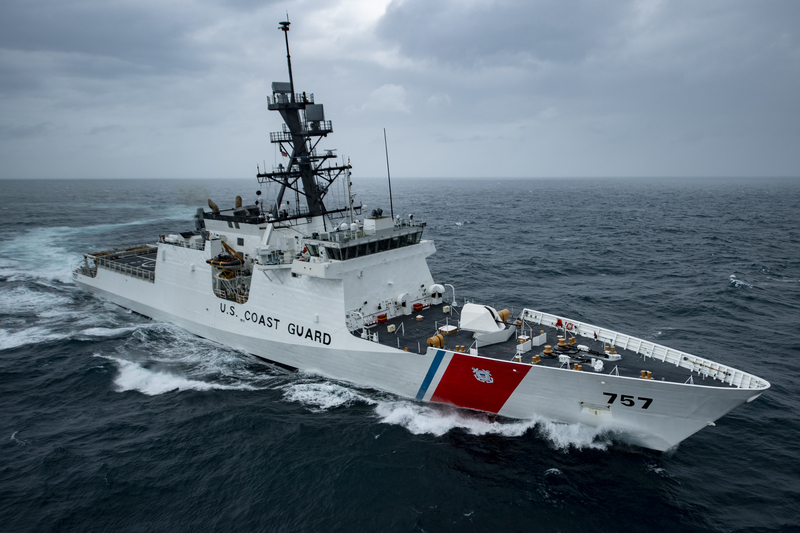 Huntington Ingalls Industries’ (HII) Ingalls Shipbuilding division announced on April 03, 2019, that the National Security Cutter (NSC) USCGC Midgett (WMSL-757) has successfully completed acceptance trials. Midgett, the eighth NSC Ingalls has built for the U.S. Coast Guard, spent two full days in the Gulf of Mexico proving the ship’s systems. «The success of these trials is a direct result of the hard work and expertise of our shipbuilders, the INSURV team and our U.S. Coast Guard customer», said George S. Jones, Ingalls’ vice president of operations. «At sea, the craftsmanship of every shipbuilder who has worked in this program was proudly on display. From the design phase to the ship’s delivery, these state-of-the-art vessels perform so well because every member of our team understands the importance of the U.S. Coast Guard in protecting our nation, and they take pride in providing these assets to the service». «With the success of these trials, NSC 8 is one step closer to becoming another highly capable, vital asset to the men and women of our Coast Guard», said Derek Murphy, Ingalls’ Coast Guard program manager. «Our dedicated NSC team has proven themselves once again, and we could not be more proud of what they have accomplished». Ingalls has delivered seven Legend-class NSCs and has two more under construction, including USCGC Midgett (WMSL-757), set to deliver before the end of the year. USCGC Stone (WMSL-758) is scheduled for delivery in 2020. In December of 2018, Ingalls received two fixed-price incentive contracts with a combined value of $931 million to build NSCs 10 and 11.